With a logo-making program, you can easily design a neat (and free) emblem all by yourself. When it comes to crafting a great logo, choosing the right words, colors, and icon is not enough. So, what’s the secret to a memorable logo? First, it must make your potential customers want to learn more about your brand and interact with it on an emotional level. Plus, a corporate image must communicate your company’s goals and values, i.e., define your brand’s personality. As you can see, there’s a lot to focus on. With that in mind, choosing the optimal logo creation method plays a major role in your success. In this article, we’ve covered the most popular graphic design programs trusted by professionals. One must learn from the best, right? Let’s get to it! If you want to create a logo using online tools, here is a list of the best ones. Photoshop is probably the most obvious choice when it comes to designing logos and other brand identity elements. However, the result fully depends on your drawing skills and the scope of your imagination. If drawing is second nature to you, consider yourself lucky. On the other hand, those of you with no artistic abilities will have to work hard before you can complete basic tasks in Photoshop. If challenges inspire you, this tutorial will become your best friend! Open Photoshop and create a new file. If you don’t know what logo size you need, set the resolution at no less than 500 pixels. Then choose a background for your logo. You can’t go wrong with a transparent background, as it’ll look good on any surface. You can also choose a colored background. The best option is to create two logo versions: one on a transparent background (for a website) and one on a colored background (for social platforms). Use the Text tool to enter your company name. Choose a font and color. If you’re on the lookout for custom fonts, click here to see some incredible typography samples. To make your logo inscription more attractive, apply multiple effects, such as strokes or shadows. However, don’t overdo it; you don’t want your image to look like a decorated Christmas tree. Simplicity is a trend in logo design. Be creative. Experiment with geometric shapes, such as ellipses, rectangles, lines, etc. You never know what fits your design until you try it! Add an icon. If you already have an image you’re happy with, simply paste it to your canvas. If you’re still looking for the right icon, we know where to find it! Choose the hues that characterize your business and send the right message to your audience. 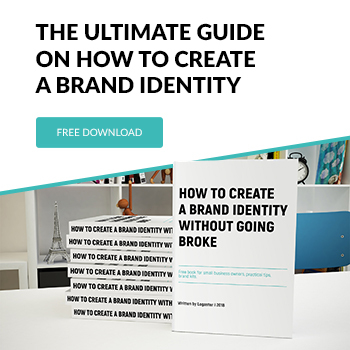 We have a great article on how to express your brand personality through colors. Check out the emblem designed in different color schemes below. That’s it! Now save your design in PSD format so you can edit it whenever you want. Plus, you’ll need PNG or JPG files to add your freshly created artwork to your website, social media accounts, etc. This is how to create a simple logo. However, with proper skills and fantasy, you can do much more. If you’re into more sophisticated and original designs, choose the latest Photoshop version with a more impressive toolbox. Advanced tools will give you more possibilities and the freedom to express your creative vision. You can set multiple parameters, such as font style, font size, distance between characters, layer, color model, etc. The list goes on and on. Watch this comprehensive video guide on drawing artwork in Photoshop. We hope it’ll make the whole process clear to you! For purposes of this tutorial, let’s suppose we need a retro emblem for a fitness center. We’ve chosen Adobe Illustrator to bring our idea to life. 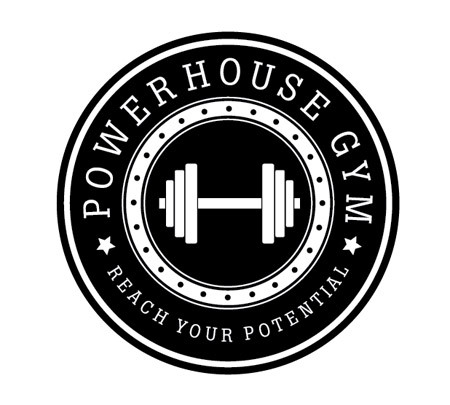 To give our potential clients an idea of what our company does, we’ll create a logo in the shape of a dumbbell. An image like that will create instant associations with sport and healthy lifestyle. 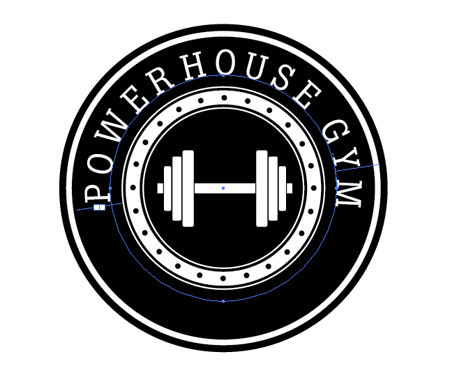 We’ll put the dumbbell icon in the center of our design, with the brand name and slogan placed around it in a circle. Open Adobe Illustrator and create a new document. 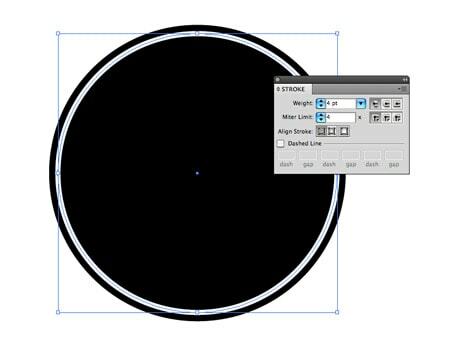 Draw a circle on the canvas and copy it by pressing Ctrl+C. 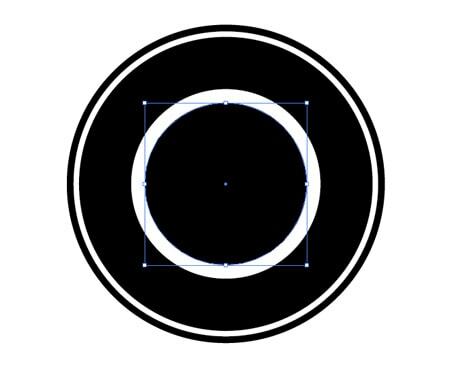 Paste the circle to the background (Alt+Shift) and reduce its size. Don’t add a fill. Apply a path and choose the path color (e.g., white). Paste the circle again and make it smaller than the previous one (Ctrl+F). Then paste a bigger circle. Choose the same color for the two circles. This is how you create the effect of a thick layer. 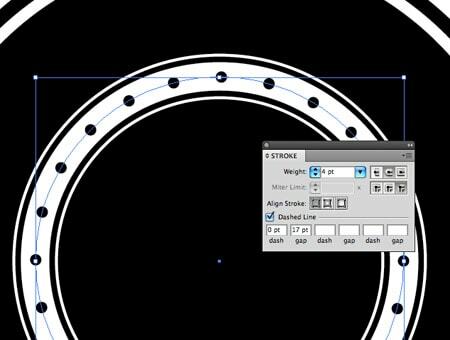 Add small circles to create a thin stroke (inside and outside). Draw a circle between the inside and outside borders of the white circle. Specify the following parameters: Weight (17pt), Round Corners, Bevel Join, Dash (0pt), Dashed Line, and Gap (17pt). 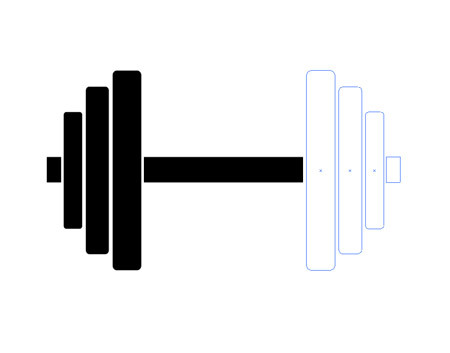 To draw dumbbell plates with rounded corners, use the Rectangle tool. Select their size and fill color (in your corporate hue or any other hues). Arrange the plates vertically and symmetric to the imaginary centerline. 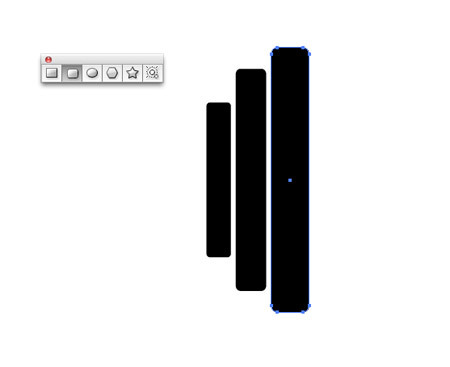 Use the Rectangle tool to draw the plates. Copy and paste another circle. Select a transparent background. Do not add a path or fill. To add text, choose Text > Text along stroke. Enter the name of the fitness center. To adjust the spacing between letters, select Text > Text along stroke > Parameters. Choose a font, e.g., Boton. To center the text, select the Direct Selection tool. Do the same to the slogan text. Choose the body size. Then choose Type > Type On A Path > Type On A Path Options. In the Align To Path menu, choose the Ascender option (align along the font’s top edge). Add two stars to separate the brand name from the slogan. Your vector logo is ready! You can edit any element until you’ve found the ideal solution. The main thing that separates this design software from the programs above is that it uses mathematical formulae to define vector images. Instead of graphic elements (pixels), CorelDRAW uses lines and shapes. To create an image, you must set the weight and color of the lines, as well as their coordinates. In CorelDRAW, you can rotate, scale, etc. your logo without loss of quality or definition. Plus, you can convert your text into a vector curve. 1. Edit text (create new fonts and change existing ones). 2. Edit an image (convert a raster image to vector, create animations). 3. 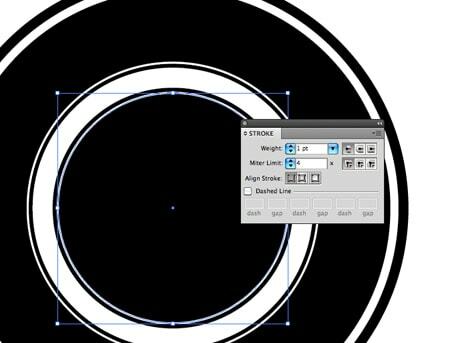 Create a vector image from scratch; apply tracing, geometric patterns, paths, and much more. 3. Use the Shape tool to add various effects and textures. The same sequence applies to text. Don’t worry about the font size, as you can always scale it later. Take the time to think about your future design. Try different tools, including the new ones. You may discover the feature that will transform your entire design. With patience and creative energy, you can come up with amazing artwork! If you can’t think about graphic editing software without shuddering, we recommend using an online logo maker. These are smart, intuitive tools that can handle the entire logo design business for you! Logaster is a fine example of a user-friendly logo generator for a wide array of users. The only things you need are a few minutes of spare time and an Internet connection. Create a beautiful design and save it to your computer in any format you need (or several formats for different applications). If you want to explore a more advanced toolbar, the paid Logaster version is at your service! You don’t need to master image editing programs. Unlike similar services, www.logaster.com offers Cyrillic fonts. You can create your own corporate design in just five minutes. Logaster offers an unmatched selection of modern fonts and icons. You can draw a sketch and show it to your hired designer. Don’t worry about the price. The Logaster service is free for everyone. Create a rough sketch or a ready-to-use logo — the choice is yours! Furthermore, you can save any number of templates to discuss them with your colleagues later. The friendly Logaster team will be happy to assist you with any requests or questions. 1. Enter your company name and choose its type of activity. 2. Сhoose an easy on the eye draft. 3. All of the suggested logos are ready to download. However, if you want to edit some elements of your favorite logo: font, color, size, location, etc., click on “Preview and download” to save the logo in your account and after that click on the “Edit” button. 4. Now you can download the logo in the format you need. Notice that the logo in high resolution is available only after payment. But you can download small-sized logos for free. Read more on how to do this here. In addition to being easy to use and affordable, the Logaster service will impress you with unique templates, original concepts, and fast operation. Plus, you can learn from both common users and experienced designers by browsing through their artwork. Logaster knows how to make the logo-making process an enjoyable and fulfilling experience! We’ve done our best to break down the logo-making process for you. We hope you’ll use one (or several) methods we’ve covered in this post. With a little diligence and confidence, you can do anything. We wish you productive ideas! How to buy a logo? How to change a logo icon? How to get white logo on transparent background?